No more sewing badges! 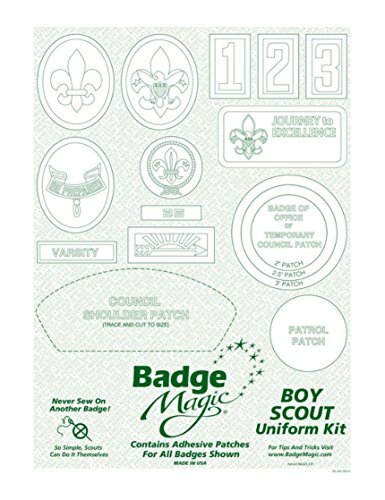 Kit contains a 12" sheet of adhesive material that is die-cut into shapes of the most popular uniform emblems, numbers, and badges. Peel off backing and attach directly to uniform. Badges can be removed using adhesive removers such as Goo Gone® and Goof Off® or by dry cleaning using the PERC method. If you have any questions about this product by Boy Scouts of America, contact us by completing and submitting the form below. If you are looking for a specif part number, please include it with your message.